We are just a support crew. But we are here for you and worry along with you. I will let you know what I find out tomorrow from the Urologist and when the biopsy is done, I will post results. Again, thank you for your comments. Please Don't join this club...... You don't want any part of it! Here's to hoping that this is not a Big issue and you can be on your way. But..... we are here for support if you need us. Let's hope they determine that it is not bc and you can come here and tell us the good news. Take a Breath and Exhale ...... Again! We'll keep you in our prayers. So sorry that you have this facing you. Even though you can't know what it might be, you can't help worrying. No one, not even your doctors, can tell from a picture what it might be. Which is why they are scheduling you for a biopsy. There are many things other than cancer that can cause bladder lesions, so it is not definitely cancer. Be cause you had technical problems I answered you off line. Please remember to relax as much as you can until you can have your biopsy done. Let's hope you don't need us but if you do need us we are here for you. I am new to the forum, I am a 40 year old female and fairly active. I have a lot of questions and concerns from the recent findings from my surgeon. In short, I just had a hysterectomy 10/9/15, during this procedure, I had a cystoscopy and a "bladder lesion" was found. The surgery still took place but an urologist was consulted during surgery and it was determined that they will wait 2 weeks for me to recover from this surgery to then perform a biopsy surgery. 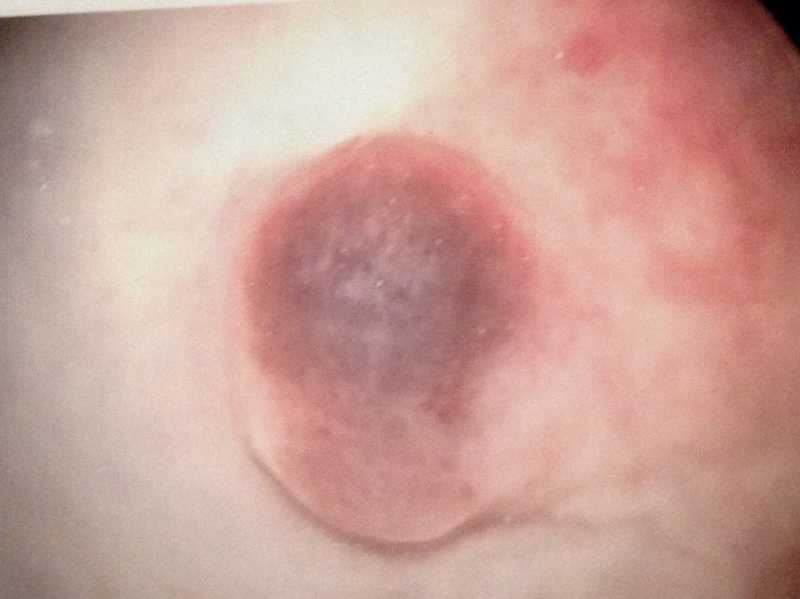 Soon after I woke from surgery, this Urologist brought me a picture of this lesion and firmly stated that we need to take a serious look at this and take a sample. I do not want to wait on this but you need to at least recover from your hysterectomy because this can be quite invasive. It'll be two weeks this Friday and I have a consult this Wednesday. To top this off, I had a cystoscopy two months earlier and nothing was found then. Naturally, I am scared at my wits end.... Everything I read about "Bladder Lesions" does not have any good results other than different stages of cancer, surgical procedures and treatment. My question is, what all should I expect or ask at this consult and what and should I expect for this surgery and my future. Thank you for your time. Attached is a picture of what I was given after my hysterectomy.